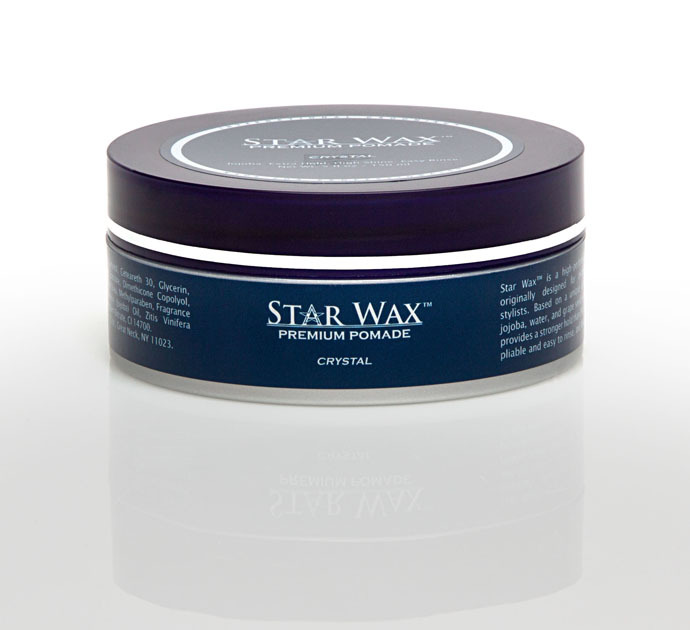 Following extraordinary feedback for Star Wax Original, Crystal was conceived to provide our clients with an even stronger easy-to-rinse pomade. 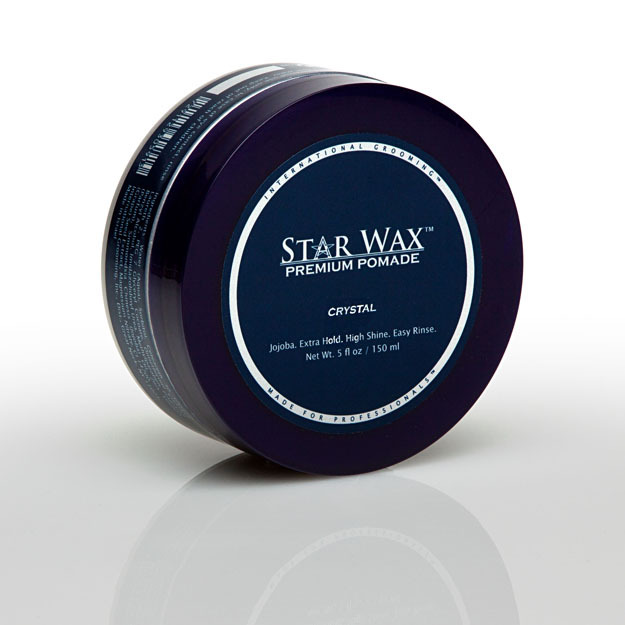 Star Wax™ Crystal is a super-hold version of the widely praised Original formula. 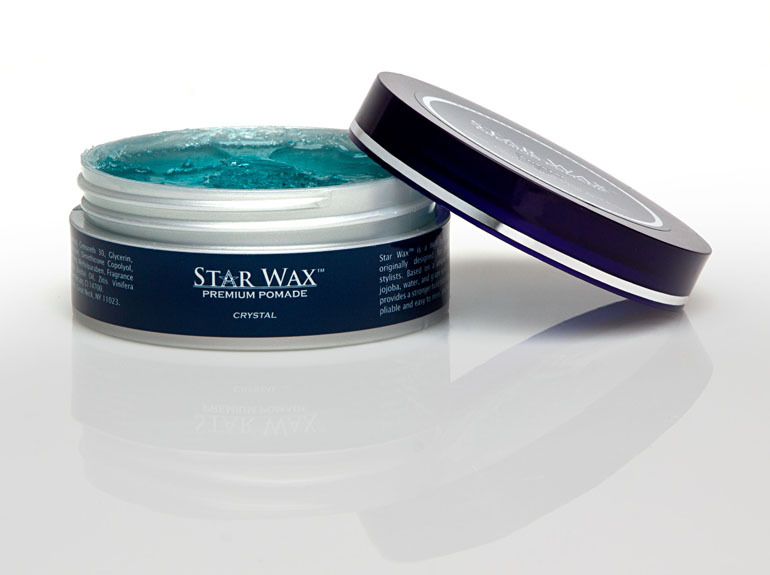 We started with the unique water-based, jojoba-enriched Star Wax Original pomade, and modified it to create a thicker texture that provides more control, enabling our clients to achieve a greater variety of styles. 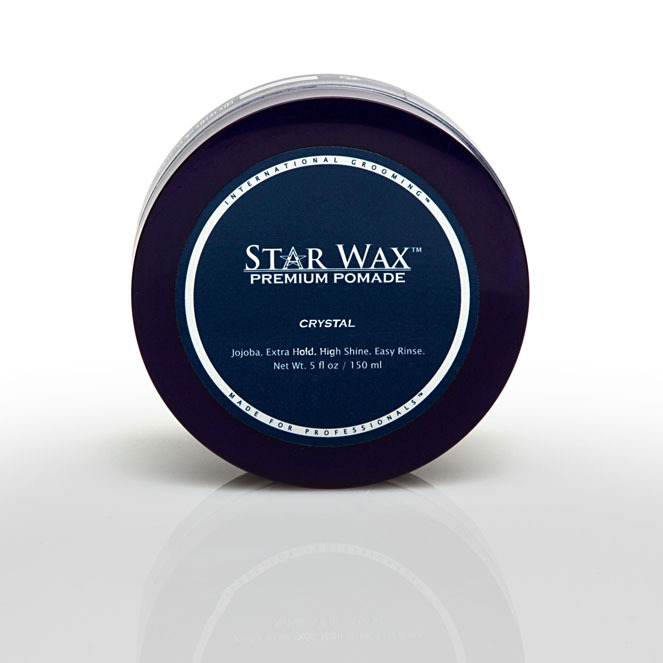 Most importantly, Crystal achieves a superior hold while maintaining the same water-soluble properties of Star Wax Original that make it easy to wash off. Similar to Original, Crystal’s hold is pliable, making it suitable for multiple restyles. We added grape seed extract to complement the therapeutic jojoba essence, resulting in a powerful, lightweight moisturizing system. 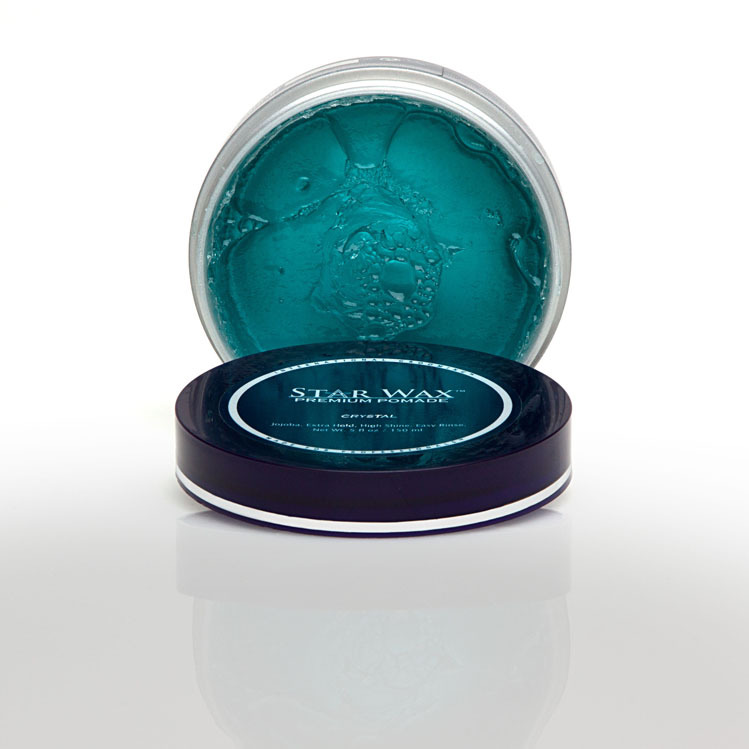 Star Wax Crystal features a shiny finish, along with a high quality, luxurious fragrance. Ingredients: Water (Aqua), Ceteareth-20, PEG-7 Glyceryl Cocoate, PVP/VA/Vinyl Propionate Copolymer, Fragrance (Parfum), Laureth-7, PVP, Glycerin, Polysorbate 60, Phenoxyethanol, Mineral Oil, Simmondsia Chinensis Oil, Vitis Vinifera Seed Extract, Adansonia Digitata Seed Oil, Argania Spinosa Oil, Triethylene Glycol, Butyrospermum Parkii Butter, Hippophae Rhamnoides Extract, Tocopheryl Acetate, Borago Officinalis Seed Oil, CI 42090.